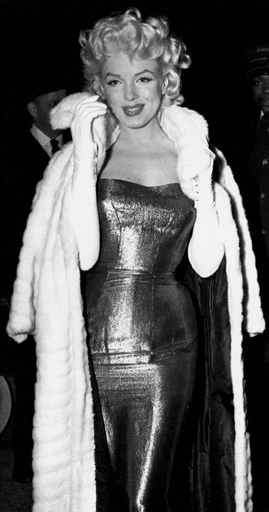 One White Ermine Coat, Insured Value $5,000 – Storaged, Rips + tears repaired, Rhinestone buttons added, Cleaned, Glazed + Ironed. 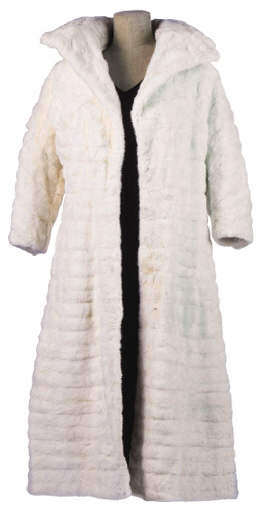 One Ranch Mink Coat, Value 300 – Cleaned, Ironed + Glazed, Storaged. 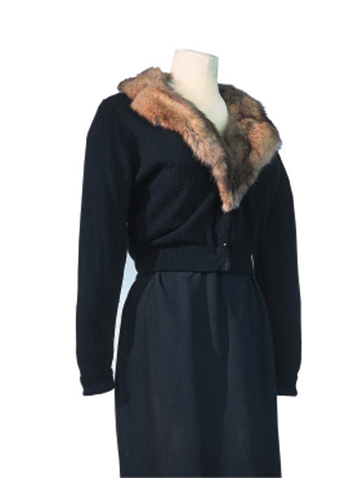 One Cloth Jacket with Sable Collar, Cleaned, Ironed + Glazed. 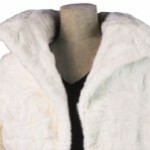 One White Fox Muff, Cleaned, Ironed + Glazed. 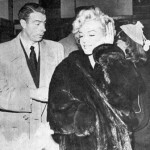 All items were received by P. Leonardi. 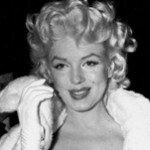 The total amount due for storage, repairs and services: $97.50. 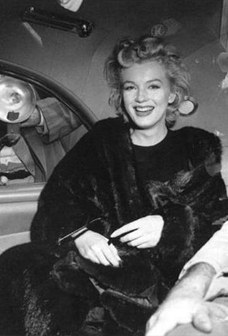 Also part of the Marilyn Monroe Collection, Marilyn Monroe Productions bank check #279, dated October 28, 1955, paying for this invoice, signed by Milton Greene. 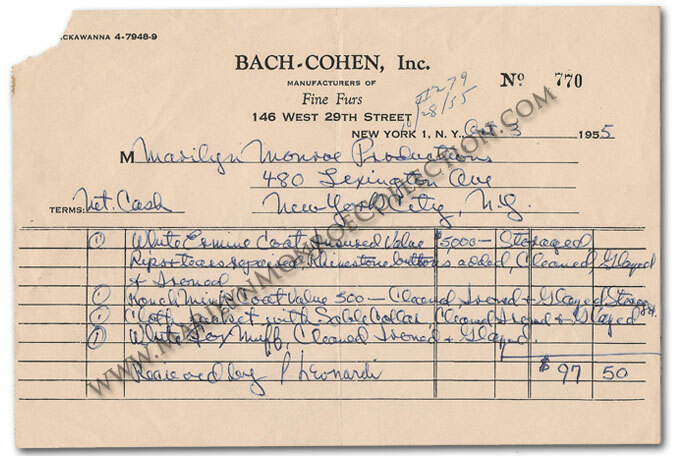 Amazingly, each of the fur items listed on this invoice are easily recognizable, and most were photographed numerous times. 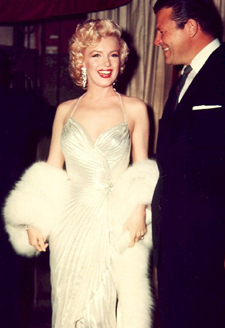 Marilyn Monroe’s white ermine fur coat. 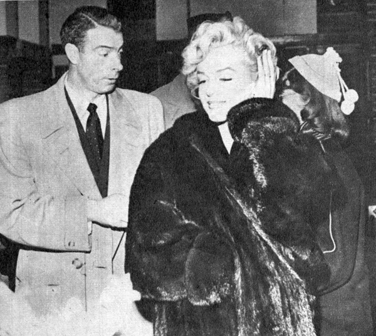 Marilyn Monroe’s cloth jacket with sable fur collar. 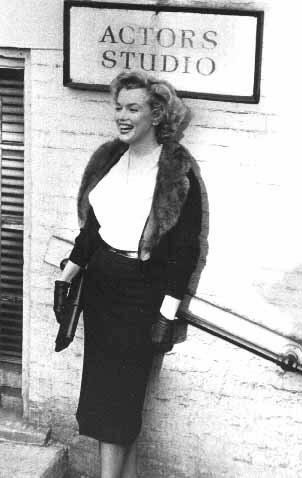 Marilyn wearing the jacket at The Actors Studio in New York City. 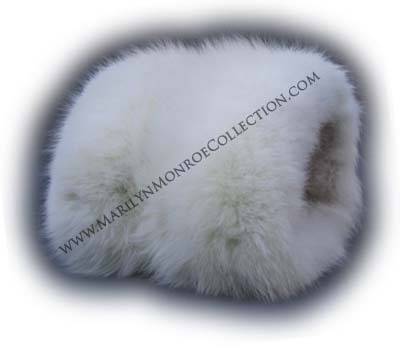 Marilyn Monroe’s personal white fox fur muff. 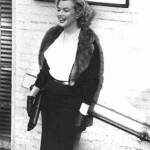 Marilyn wearing her white fox muff.